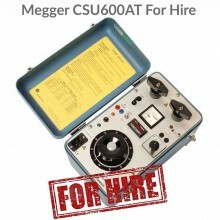 Includes: T&R 100A/E Mk3 unit, Operating manual, 2m mains lead, Non-latching contact lead, 100AL lead set, Spare fuse set. 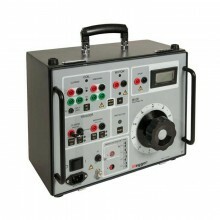 The T&R 100A/E Mk3** unit is portable, compact and simple to use. 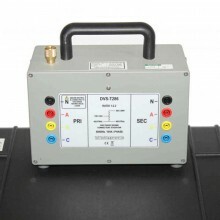 The mains supply for the unit is either 240V±10% or 115V +10% -6% at either 50 or 60Hz. 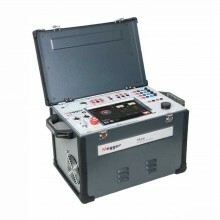 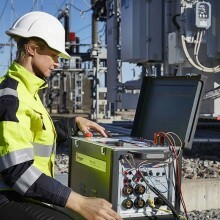 Full load can be obtained at the supply voltage extremes. 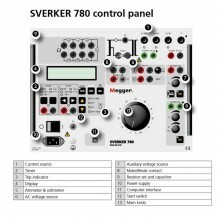 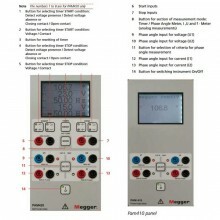 The current and voltage outputs are independently controlled and metered. 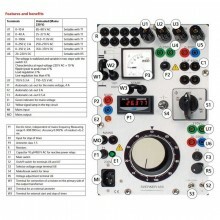 The output current and voltage are displayed on large, clear panel instruments. 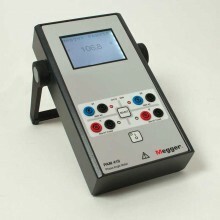 An additional four range CT is provided, extending the ammeter range down to 0-100mA. 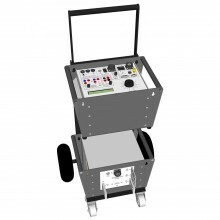 The current output on the 100A/E Mk3 has eight ranges, allowing the selection of output voltages up to 150V and output currents up to 200A. 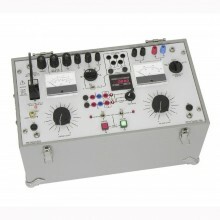 The current outputs may also be used as voltage outputs. 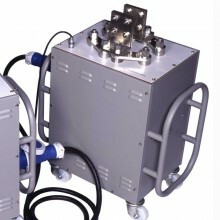 All of the outputs are fully isolated by means of double wound transformers. 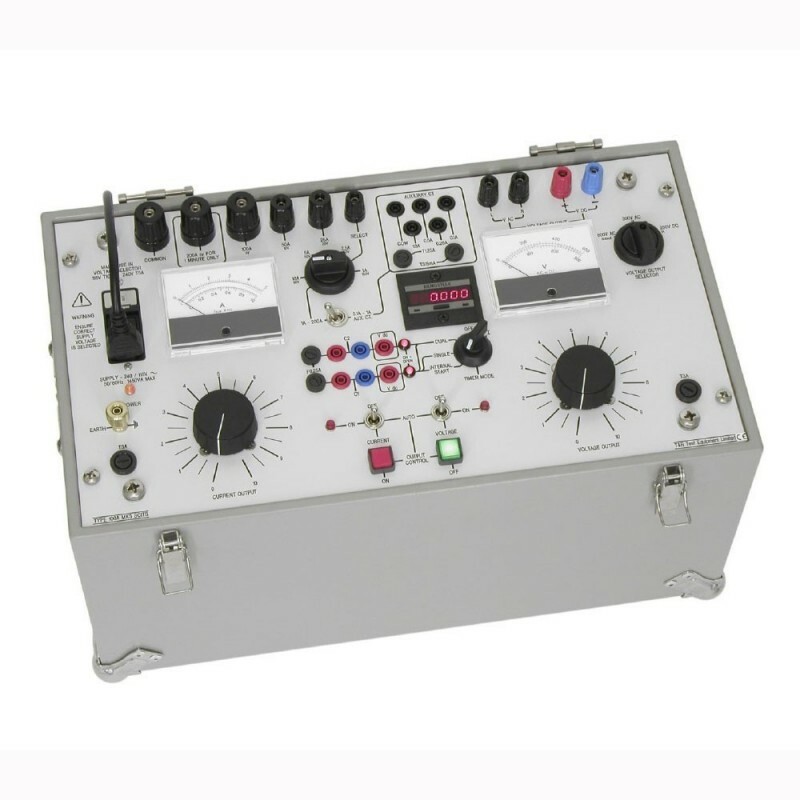 The type 100A/E MK3 S.C.I.T.S. 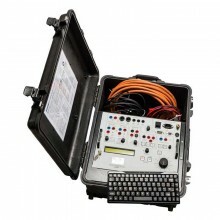 is housed in a robust steel case, complete with fold away carry handles. 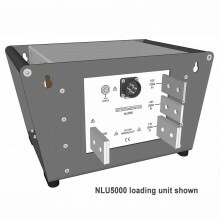 The unit is fitted with a detachable cover in which is housed the spare fuse carrier and rating/scale factor plate. 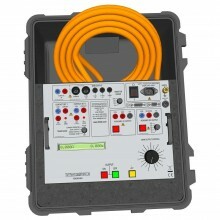 ** If using a 100ADM-F with this unit then you will need to order A006-0010 output lead set. 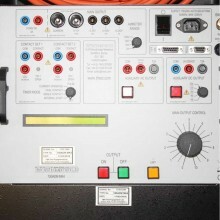 Wide range of output currents. 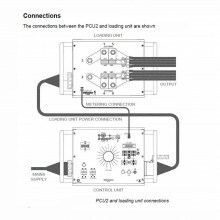 AC and DC voltage outputs. 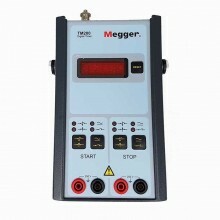 Output current metering from 40mA - 200A. 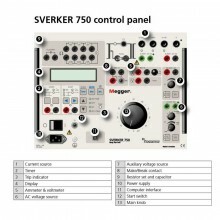 Automatic switch-off in all modes of operation. 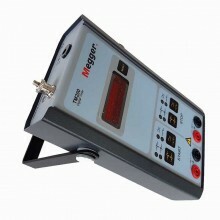 Suitable for testing thermal devices. 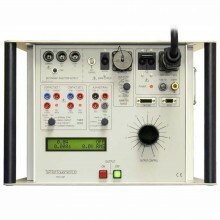 Voltage and current outputs available simultaneously. 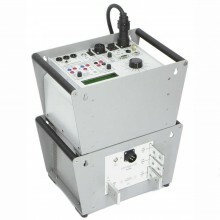 Current output: 200A/50A continuous, 50/25, 25/12.5, 10/5, 5/2.5, 2.5/1.25, 1/0.5. 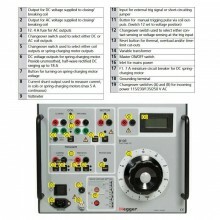 Voltage ranges: 0 - 250ac, 0 - 500ac, 0 - 250dc. 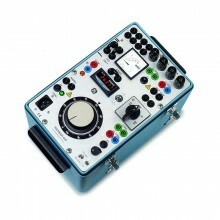 Accuracy: ±0.1% rdg ±2d (all modes except current op.). 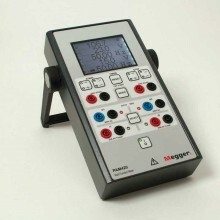 Accuracy: ±0.1% rdg ±3d (current operated mode). 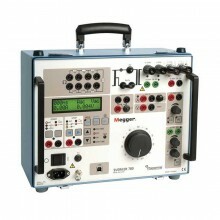 Dimensions: 490 x 300 x 300mm. 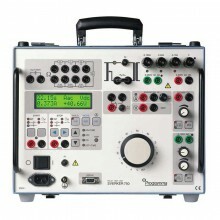 T&R 100A/E Mk3 Warranty: 1 year.